Some people prefer to go with one handle faucet are usually don’t need both hot and cold water, they live in an area where weather doesn’t change much through out the year. In this way, they don’t feel the need to install double handle faucet. 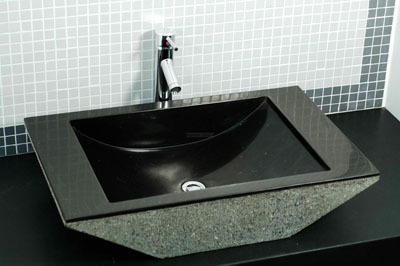 Just like we mention above, you should go with one handle faucet when your existing wash basin is small. 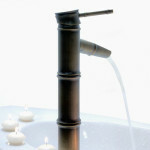 Single handle faucet is actually more popular since it is also easier to install and easy to use. It only requires single hole to be cut out in the countertop. 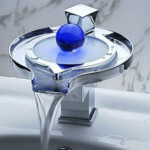 There are many available stylish single handle faucet on the market, even futuristic like faucet with LED. 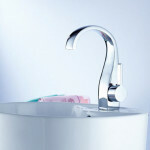 Cons of single handle faucet, well, you need some practices to get the feel when it is the perfect position to get your desired water temperature and flow rate. When leak happens, you don’t have a choice but to shut off both hot and cold water valves. So, have you made decision? 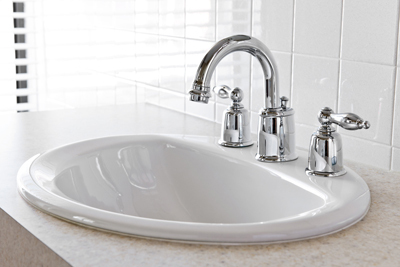 In the end, it all comes down to your preference, if you like two handle faucet regardless the size of your sink, just go for it. You can also install different faucet for different area, for example single handle for kitchen and two handle for the bathroom.